Fish4Sports wanted their fishing booking hub up and running two months before the fishing season started ready to target fishing businesses and fishing enthusiasts. 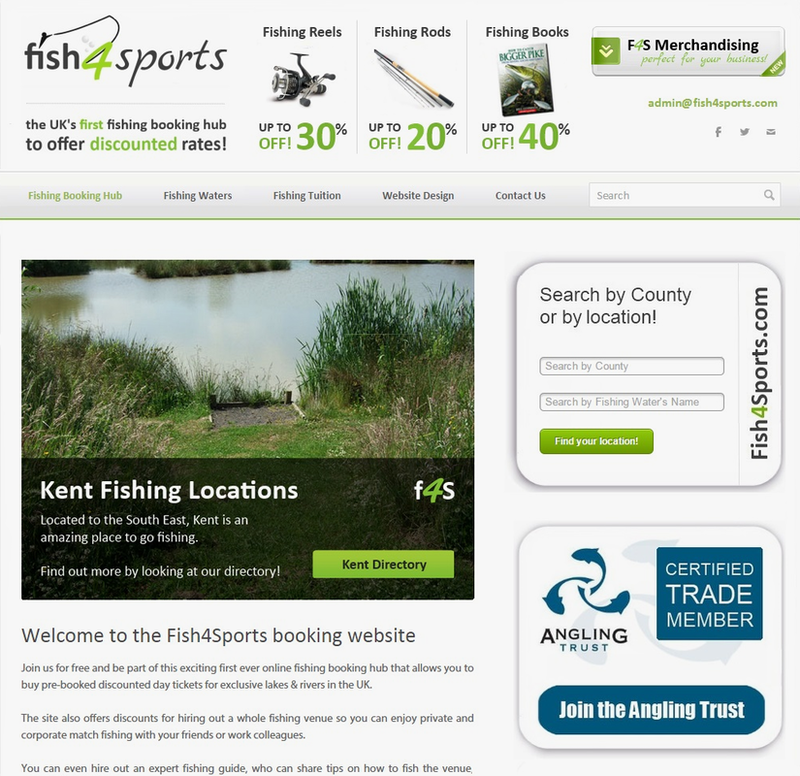 Fish4Sports Ltd wanted a modern looking website to appeal on a consumer basis with the ability for people to book fishing sessions with external companies and advertise on their website. Fully eCommerce ready and built to accept both PayPal and debit card details for discounted fishing rates.